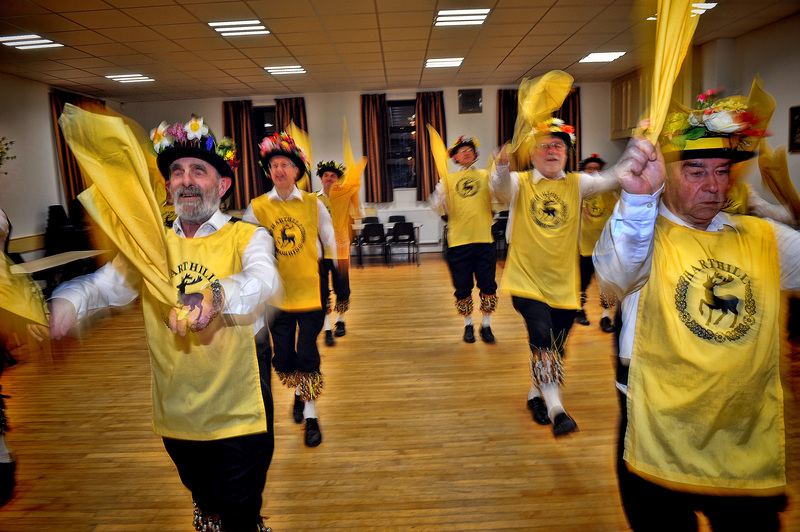 Back on 23rd April Harthill Morris attended a day of dance held in York by the Joint Morris Organisation (JMO), a coming together of Morris Ring, Morris Federation and Open Morris sides. A fantastic time was had by all and you can see a slideshow of the photos we took after the break, or you can view them on our Flickr page. We recently had new team photo’s taken – a huge thank you to David Poucher for making us look our best. You can view them after the break. 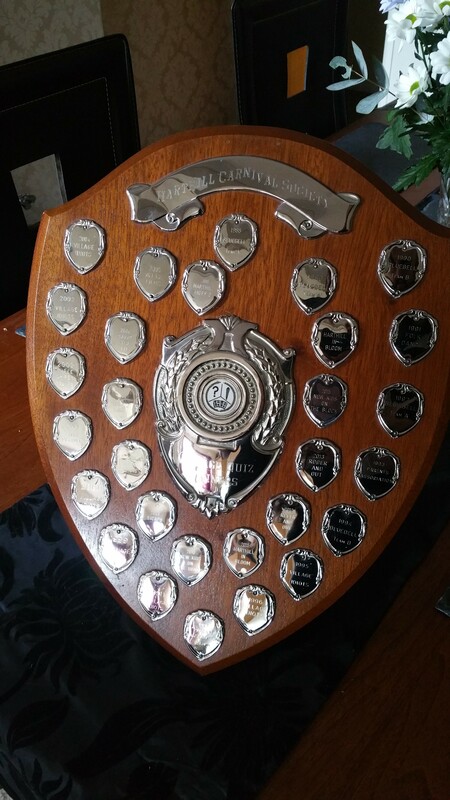 Every year the Harthill Carnival Society hosts the ‘Harthill Village Quiz’ which sees a number of 3-person teams fight it out in a battle of wits across 10 rounds of 10 questions each. This year, once the dust had settled and the smoke had cleared David G, John E. and Jono (competing as ‘Morris Men A’) stood tall as victors for the first time ever, bringing home the Harthill Carnival Society Village Quiz trophy (pictured).